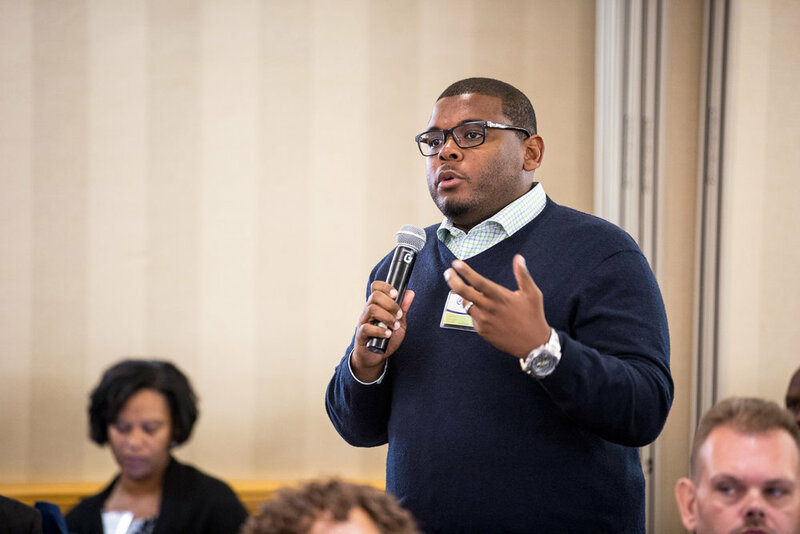 This blog post is brought to you by the great folks at University of Maryland University College. Their sponsorship made it possible for me to create these images and present them for your enjoyment. 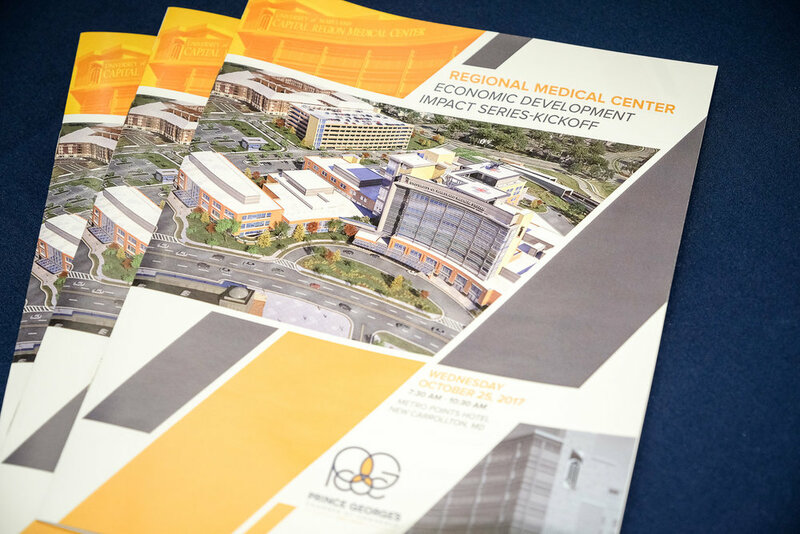 A new Regional Medical Center is about to begin construction in Largo, MD and it will be a huge complex with lots of business opportunities that are totally unrelated to medicine. The people who staff the medical center will also be consumers of all types of goods and services and now is the time to position yourself to provide those goods and services. If you wait until you see the groundbreaking on TV with lots of executives standing around a ceremonial shovel, you will have missed the boat. The relationships you establish to position yourself for business opportunities occurs at events like this one, well in advance of any construction. 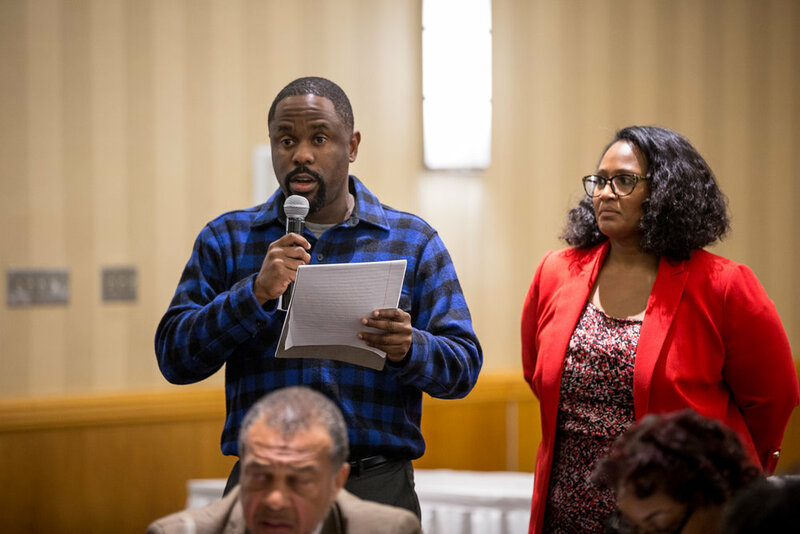 If you have any questions or to find out about future events in the series, connect with Chauka Reid on LinkedIn or contact her at the chamber at (301) 731-5000. I did say it was a breakfast, right? I was on the job, so I couldn't partake, but the food looked spectacular and there was a ton of it. I would say that the staff at the Metro Points hotel had outdone themselves, but they've over-delivered like this at every event the chamber has had at the hotel. If you're hosting an event, you definitely want to talk to the people at Metro Points hotel. Call (301) 459-6700 or reach out to the General Manager, Kevin Beard on LinkedIn. Tom Farasy, chairman of the Economic Development Committee for the chamber and CEO of Corner Media. Tom is the mechanic that maintains the engine that powered this event as well as everything else the Economic Development committee does. Homeowners attended to register their questions and concerns regarding the impact that the new development will have on their neighborhoods. This kind of participation is important. If you don't exercise your voice, you don't have one. Cydnee Phoenix, Executive Director of the Prince George's County Supplier Development & Diversity Division. You can just call her Million-Dollar Cydnee for short. This lady works hard to get you paid. If you look hard, you'll see Cydnee way off in the distance. Tiniest person in there, Cydnee knew she needed to be up on that stage so people could see her! (L-R) Nathaniel Streeter, Sales and Catering Manager at Metro Points Hotel. David Harrington, President of the Prince George's Chamber of Commerce. 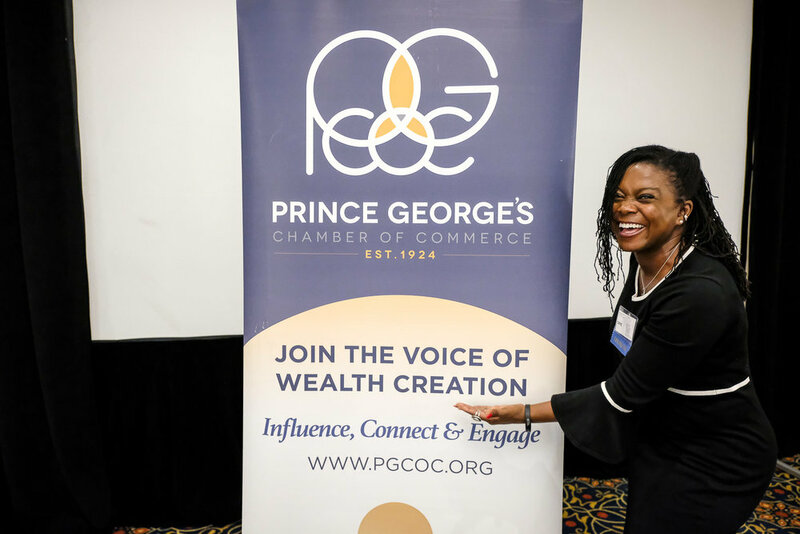 Chauka Reid, Business Development Manager at the Prince George's Chamber of Commerce. All I can say about what follows is some people just need you to hold the camera for them and they will entertain themselves. Post-event fellowship. And business development! Chauka is on her job connecting the young man in front of her (whose dad is to his left) to another hospitality industry professional who may have an opportunity for him. If you have any questions about the chamber, Metro Points Hotel, the Largo Impact Series, or anything else, ask Chauka. That's what I do. She knows everything and everybody and she works tirelessly to help you grow your business. It's holiday party PLANNING season. If you're interested in having a professional photographer for your holiday party, now is the time to schedule. Click here to schedule a free phone consultation.